A team of scientists from the Li Ka Shing Faculty of Medicine of The University of Hong Kong (HKU) and Imperial College London has made a breakthrough in the visualisation of human brain tissue at the microscopic level. The findings are now published in the latest issue of Nature Communications. To understand how the brain works, scientists need to map how nerve cells (neurons) are wired to form circuitries in both healthy and disease states. Traditionally, this was accomplished by thinly slicing brain tissue and tracing the cut nerve fibres over many sections. However, this approach is difficult and labour-intensive, as the neuronal circuitries span great distances in three dimensions and are tightly entangled microscopically. To avoid the sectioning of tissues, tissue clearing techniques that turn opaque tissue transparent have been developed, enabling deep, high-resolution imaging of neuronal circuitries. Although such techniques have been very effective on rodent brain tissue, only limited studies have found success with human brain tissue. The difficulties and challenges may be attributed to fundamental differences between the human and the mice brain. To overcome these barriers, the team developed a new tissue clearing solution, OPTIClear. OPTIClear selectively adjusts the optical properties of tissue without damaging or changing their structural components. Combined with fluorescent staining and other tissue processing methods, the team created a simple, yet versatile tool for the study of microscopic structures in the human brain. 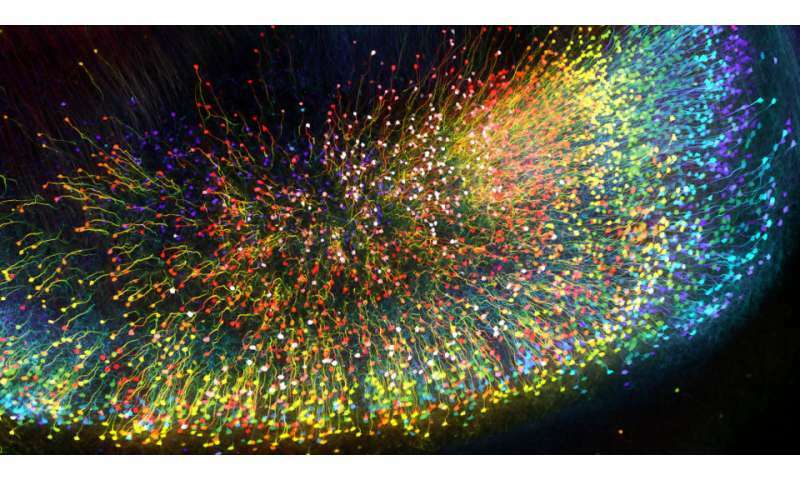 Nerve cells, glial cells and blood vessels were visualized in exquisite detail, with their 3-D relationship determined. For example, the team performed 3-D morphological analysis on human brainstem dopaminergic neurons in the millimetre scale, and imaged more than 3,000 large neurons in the human basal forebrain in just five days, normally, such procedures take at least three weeks. These neurons have been implicated in neurological and psychiatric diseases such as dementia and depression; the promising results suggest that this novel method is applicable to future research on these conditions. More remarkably, OPTIClear can also be applied in both archived (>30 years) and clinical specimens.